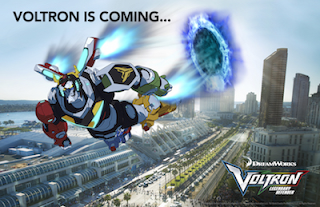 DreamWorks Animation Television and Netflix will present a jam-packed Voltron Legendary Defender panel at San Diego Comic-Con 2017, with series showrunners and voice talent debuting the premiere episode of the highly-anticipated third season of the critically-acclaimed Netflix original series. Following the panel, DreamWorks is calling all Voltron cosplayers to meet Joaquim, Lauren, Bex and Tyler at FANDOM Fest at 2:00 PM PST in the Petco Interactive Zone for a Voltron cosplay and fan meet up. Additional details to follow. A full list of Voltron activities is included below. Zarkon has been defeated and Shiro is nowhere to be found. Without a pilot for the black lion or the ability to form Voltron, the team must quickly devise a plan as the ascension of Prince Lotor pulls them into a perilous game of cat-and-mouse. Join executive producer Joaquim Dos Santos, co-executive producer Lauren Montgomery, Bex Taylor-Klaus and Tyler Labine as they debut the first episode of season three of the Netflix original series DreamWorks Voltron Legendary Defender. 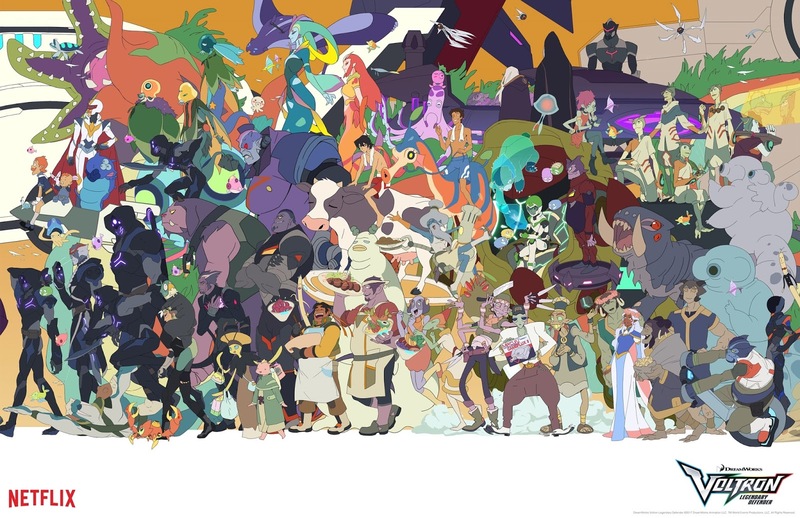 All attendees will receive an SDCC-exclusive poster created by the Voltron crew and the new Voltron chapter book “The Rise of Voltron” from Simon and Schuster. As Coran would say, “Ahoy, young paladins! I’ve whipped up a big batch of focusing food. 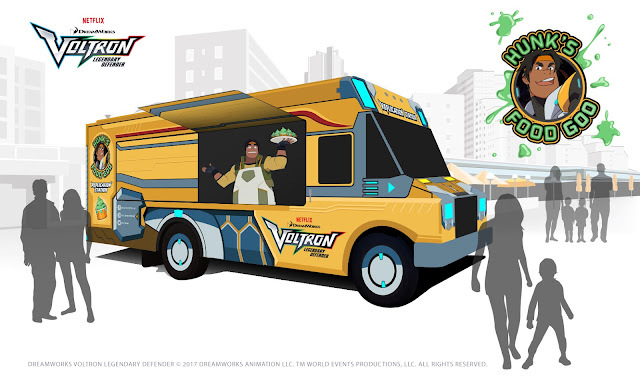 After this snack, you'll be forming Voltron six times a movement and twice on the astral conflux!” Take a break from the crowds and have a cold and refreshing treat on us. DreamWorks Animation Television is bringing every paladin’s (least) favorite snack to San Diego: green food goo! From 11 AM – 6 PM Thursday to Saturday and 11 AM to 5 PM Sunday you’ll find Hunk’s Food Goo Replication Station serving Altea’s finest green goo while supplies last. Located in Booth #1903, Lion Forge Comics is giving away free Black Lion masks (while supplies last), massive 22"x34" 4-Color posters (while supplies last), 4-color bookmarks and will be selling Voltron Legendary Defender Volume 1 which collects issues 1-5 of the miniseries.